New book from the University of Oklahoma Press. Ned Christie was a ruthless outlaw who left a trail of death and violence all over the eastern portions of the Indian Territory in the 1880’s-90’s. The violence of the area has been portrayed in the book True Grit as well as in both movie versions of the book. But whereas that story is fiction, the sordid career of the outlaw Ned Christie is confirmed in history books. Folks breathed easier when Christie’s corpse was displayed alongside the marshals and deputies who brought him in to Fort Smith–dead. 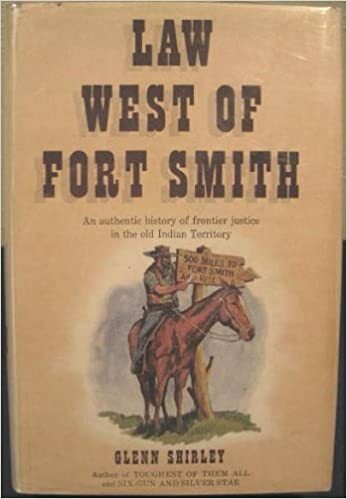 The story of Christie’s gang and brigandage is recounted in various histories of outlaws, the violence of the regions west of Fort Smith, Arkansas, and tales of criminals who were regarded by some as Robin Hood-type figures. The historical accounts are then backed up by the newspaper sources from the times that excited readers as they told of Christie’s exploits, escapes, and final demise. There is only one problem with the legend of Ned Christie, Cherokee warrior: It is wrong. Or the story might be noticed as part of the long, sad plight of the Cherokee people. After being forced from their homelands in Georgia and the Carolinas, they suffered untold miseries on the Trail of Tears. Their relocation in Indian Territory was no happy ending. Struggles and difficulties and divisions remained. Some Cherokees joined the Union forces in the War Between the States, while others allied themselves with the Confederacy. 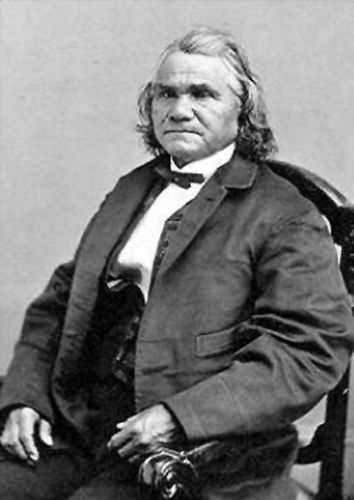 Cherokee leader Stand Watie holds the distinction of being the only Native American to be a general in the Confederate Army and for being the last Confederate general to surrender. Whatever angle one looks at, the history of the Cherokees, like that of many other tribes, is a tragedy. There is no need to bring out faults on the part of the Indians in North America. Two cultures clashed and the stronger culture won. Both were made up sinners, and usually the stronger force has sins or sin opportunities that are greater than the weaker side. Ned Christie was not a perfect man nor was he the Robin Hood figure some tried to make him. He was also far from being a savage or uncivilized man. He was a member of the Cherokee council and an adviser to the tribal chief. He was also educated, lived in a house, and was a working man who supported his family. The Cherokee were divided over different issues, including whether to support Oklahoma statehood (Christie didn’t) and over the degree to which the white culture should be embraced. When Deputy U. S. Marshal Dan Maples was fatally shot, Christie, along with other Cherokees were in the general vicinity. With little or no clear evidence as to who did the shooting, blame came to rest on Christie. In a more perfect world, he could have surrendered himself, gone to Fort Smith, gotten a good defense lawyer, produced witnesses, and walked. But the possibility of getting a fair trial, of being able to get his witnesses to Fort Smith, and to survive jail in Fort Smith prior to the trial were slim to none. So, for five years, he evaded the law. During those five years, newspapers had a heyday reporting on the exploits of Christie and his cohorts. “Fake news” is a term thrown around a lot today, but in the day of Ned Christie, it happened repeatedly. After all, violence and mayhem create more interest than more mundane events in life. It all ended, in a sense, when lawmen surrounded Christie’s home, dynamited the place, and gunned the Cherokee man down. It actually really didn’t end there. Christie’s corpse was displayed at Fort Smith for all to see. His teenage cousin was sentenced to prison and later died in an asylum for “insane” Indians. And Christie’s name and family were left to suffer. 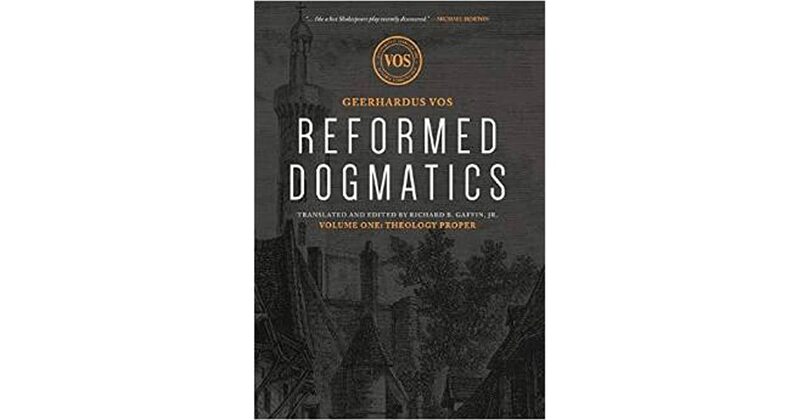 A few years back, Lexham Press published the first of five volumes of Reformed Dogmatics by Geerhardus Vos. We must grant that this publishing event probably didn’t shake the Christian community nor did the book reach the New York Times best seller lists. I don’t think those who labored to translate Vos’ notes from Dutch to English nor those who labored to put the book into print were expecting a tidal wave response. Look at the title itself: Reformed Dogmatics. Look at the author: Geerhardus Vos. Volume One contains the additional words Theology Proper in the title, and that also would not have drawn a crowd. With the publication of this volume with a limited appeal, Lexham Press went on to complete the set. Now, instead of one book with an unappealing title, by a largely unknown theologian, there were five volumes that more than quadrupled the content and raised the price. There is a valuable lesson in all of this. Here it is: There is an important distinction between the popular and the valuable. Put another way, there are books and ideas that capture the moment and for a time create a buzz. And then there are other books and ideas that are founded on more lasting and weighty foundations. In our town, the fair comes around each September. Quickly, the rides and concession stands are filled with blazing lights and loud music. The crowds–for a week or two–flock to the fairgrounds in large numbers, juggling cotton candy, overpriced drinks, and tickets while lining up for the thrill of a few minutes of being slung around. In contrast, there are the more permanent places where stately buildings and solid institutions are established way before the fair hits and continue on after it leaves town. There is a remnant who have labored to preserve the writings of theologians like Geerhardus Vos, Francis Turretin, B. B. Warfield, and many more. The labors have been put forth to reset or translate or even discover the writings of men of old and see that they are available for readers today. Sure, there is a place for antiquarian interest in old books. “Look what somebody said back in 1890?” someone might say, after finding a long lost work. 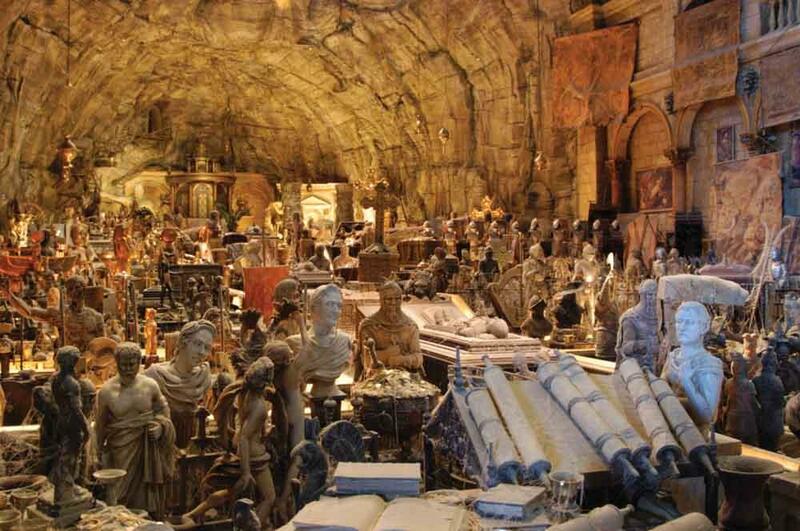 It is a type of literary archaeology consisting of fragments of books from ages past. Modernity or post-modernity or whatever term describes the present can also exert itself in a love for the latest scholarship. Once upon a time, Karl Barth rattled the entire evangelical world, but his day came and went to a large extent. Various new ways of interpreting, systematizing, and understanding the Bible capture the flags on even the most staid of seminaries and create a gush of energy to further develop whatever the zeitgeist of the day happens to be. Why did anyone bother to wade through reams of lecture notes and dated materials of a long deceased Dutchman? Why did a small publishing house–which most likely has few huge subsidies or best sellers–labor to produce a set like this in fine, hardbound volumes? Is it better because it is old? The idea “the old is better than the new” can be just as flawed as the passion for the latest new thing (as described above). The question still remains of why this set? Having now completed reading Reformed Dogmatics, Volume One, Theology Proper, I will venture around with some answers. Let’s start with the word “Reformed.” I live in an area where that word is either confusing, misunderstood, or strongly rejected by some who do understand it. It is one of the richest words in our theological history. That being said, sometimes those of us who apply the term to ourselves (as in “I am Reformed” or “I am a Reformed Christian”) badly handle the gold treasures we have discovered. 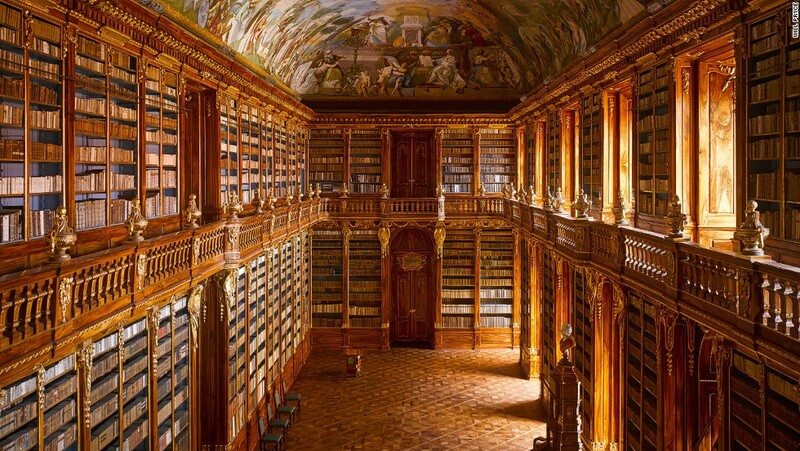 Or, more closely aligned to the experience, imagine a huge library filled with all manner of great books. When I am extolling all things that are connected to the Reformed faith and Reformed theology, I am not unaware of how often and in how many ways, that heritage has been misused, abused, and badly represented by us (I am Reformed in theology) and wrongly maligned by others. That is another topic. Vos was European, Dutch in fact. The use of the word Reformed (Hervormd) was not being waved as a flag to provoke enemies. It simply stated a respected theological tradition. The word “Dogmatic” or “Dogmatics” is less familiar to even most Christians. Usually, describing someone or some belief as “dogmatic” is somewhat negative. It implies an unwillingness to move or stubbornness. To describe a person as dogmatic in his beliefs is not a compliment. But in the broad field of theology, dogmatics is a good and necessary part of a whole Christian’s system of thought. Theology itself or theological training sometimes involves courses in systematic theology, biblical theology, and dogmatic theology. Other courses might be focused on pastoral theology, practical theology, etc. Theologians can delve into the precise differences in approach to systematic, biblical, and dogmatic theological studies. The precise definition of “dogmatic” is “inclined to lay down principles as incontrovertibly true.” Even the most open-minded, gentle, non-controversial, easy-going, quick to listen Christian had better have some dogmatic theology under his belt. Such is essential to being grounded, settled, unmoved in the Faith. Dogmatic theology is why we recite the catechism, read from our respective confessions, learn the Apostles’ or Nicene Creed, and drill certain beliefs into our own heads and the heads of others. Even if taking dogmatic positions turns into occasions of being called narrow-minded, close minded, a bigot, etc., it has to be done. Now, concerning the author himself: Geerhardus Vos. He was never a flashy, charismatic leader in either his native Netherlands or his adopted land, the United States. Perhaps his wife is better known than he is. 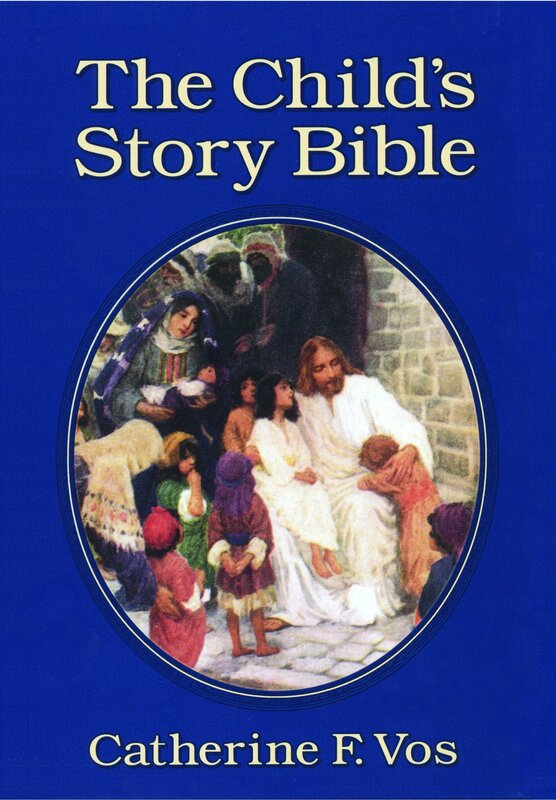 Catherine Vos’ Child’s Story Bible has been a popular book for many decades. Geerhardus Vos was a theology professor at old Princeton Seminary. His colleagues were such men as B. B. Warfield and J. Gresham Machen. His friends included Abraham Kuyper and Herman Bavinck. Those he influenced included such men as Cornelius Van Til. He wrote some weighty theological books, such as Pauline Eschatology and Biblical Theology: Old and New Testaments. Some of his theological articles have been collected and published in other works. Vos’ primary claim to fame is being called “the Father of Biblical Theology.” It is a bit much to say that he invented that field of study, but he did make it a more specific academic and theological discipline. As a writer, he was not flashy or popular, but studied and careful and detailed. As a personality, he seemed rather quiet and unnoticeable. When the great controversies erupted at Princeton Theological Seminary after the death of Warfield, Vos remained at the seminary rather than leaving with Machen and company. Vos was anything but a liberal, nor was he even moderate on such things. Maybe it was a matter of age or personality, but he stayed at Princeton until his retirement a few years later. The life of Geerhardus Vos, when such a book is written, will not be a page turner. But he was a faithful Christian man and scholar. And he was deeply immersed (figuratively speaking, my Baptist friends) in the theological heritage and Reformed traditions of the Netherlands. In the spirit of Thomas Cahill’s How the Irish Saved Civilization and Arthur Herman’s How the Scots Invented the Modern World, a book does need to be written about how the Dutch created theological wonders of the modern Christian world. Everything said up to now deals with the set before it is ever opened. But since this blog post has already gotten a bit long, it will be better served for me to discuss the contents later. “It’s a nice place to visit, but I wouldn’t want to live there.” That popular saying well describes many places we might go to on vacation, but it also applies to the way many people view church membership. They might rephrase it like this: “Churches are nice places to visit, but I would not want to be committed there.” There are many cultural and spiritual battles we face in our day. No Christian can dispute that the family is under attack. For this reason, you can fill shelves with books on marriage and family issues. No Christian can dispute that we are engaged in a multi-front culture war over issues that seemingly didn’t exist a century ago. No Christian can dispute that major institutions in our society are reeling and rocking from corruption, wrong directions, unbelief, and evil. Yet we rarely hear this being given as an answer: Go join a church. Even many of the better or more energetic evangelistic groups have often been neglectful of church membership. The word “Christian” is used as an adjective for all types of things–many of which I approve–but is not used as frequently to describe or modify the word “church.” Church life is an appendage for some. It can be a cross to bear. Or it might be an added feature, just like tinted windows on the car you buy. The word “church” itself can be used to name a building (like the one in the picture above), a denomination, a spiritually amorphous group of both living and dead Christians, a large historical group (like the Catholic Church or Anglican Church), a place to go (as in, we go to church each Sunday), or any assembly (in the more etymological meaning of the word). A Church You Can See by Dennis E. Bills is a much needed book for Christians. It is a book about building a church and the architecture of a church. Let me clarify that quickly: The book is subtitled Building a Case for Church Membership. This book is not about the best way to construct a physical building or design that building for acoustics or seating or multi-functional use. This book is about the absolute necessity of Christians being tied to, committed to, joined to, and dedicated to a particular local group of fellow believers in order to live out the Christian life. Before hitting a few key points in Pastor Bills’ book, let me line out the case for not joining a church. First, no church is perfect, nor will any church fit your particular beliefs in every detail. Second, church membership will not save you. Third, many churches are routine and tradition-bound. Fourth, there are all kinds of ways you can serve God without being a church member. Fifth, where does the Bible say that you have to be a member with your name on a roll in a church? Sixth, what about all those people who are in situations (like health, geographic location, in military service, in prison, etc.) who cannot be in church? Some really strong arguments can be crafted from those six points and others as well. But, the bottom line is that being committed to, being a member of a church is absolutely essential. (Exceptions, such as health, geography, job, access, are just that–exceptions.) While neither Pastor Bills nor I can cite a verse that says “All God’s people must have their names inscribed on the rolls of a local assembly of fellow believers,” the New Testament presupposes church membership at every stage. The New Testament letters are written to churches and church leaders. The Book of Acts is a book about church planting. The Gospels are written to instruct believers in churches. The gifts, spiritual and otherwise, and teachings are all used in church settings. Not a single word is directed toward Christian schools, Christian music groups, Christian bookstores, Christian political parties, or any other group prefixed by the word “Christian.” While I strongly believe that all those Christian-oriented groups or causes should exist, they grow out of the church community and are not equals or peers with it. Baptism–lay aside the matters of mode and subjects–is essential, absolutely commanded, defining, and not negotiable for one who professes faith in Christ. (Yes, I understand that if your hands and feet are pierced with nails and the Roman government is in the process of killing you, you can appeal directly to Jesus.) Baptism is a work and ordinance of the church. Along with that, the Lord’s Supper–laying aside more details about frequency and what elements are used–is a part of the Christian life in the same way that breathing is part of physical life. I hate when someone says that baptism and the Lord’s Supper are just symbols. If I tell a woman that my marriage ring is just a symbol, I hope someone bashes me over the head. (I expect my wife to do so.) In the example I use, a marriage ring really means that I am married, but it is a tradition. How much more are baptism and the Lord’s Supper real and vital since they are established by Christ Himself? In A Church You Can See, Bills walks the reader through the stages of building a house or other structure. This metaphor is carried through the whole book to teach different aspects of church membership. This book, while good for individual reading, would really best be used by teachers and elders to instruct Sunday school classes or membership classes. It is clearly written, very practical, heavily laced with Scripture passages, and intended to result in the reader either joining a church or becoming aware of the meaning of church membership. 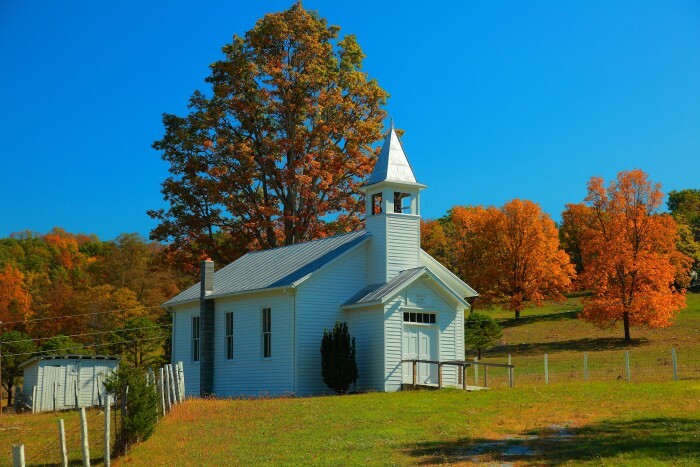 Pastor Bills (and I would emphasize that he is an ordained Presbyterian minister in West Virginia) writes from a Presbyterian and Reformed perspective. Those who might not line up with him on all points (meaning that they are not Presbyterian or Reformed) will still find this book incredibly useful and instructive. This book can be purchased through Amazon for the ridiculously low price of $5.99. Along with this book, I will mention two others I like that deal with church life. 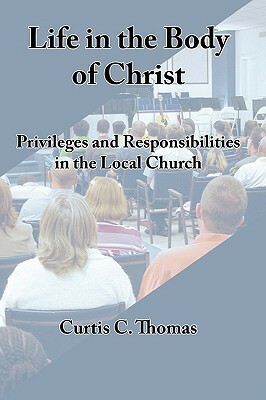 My former pastor Curtis C. Thomas, who also co-authored The Five Points of Calvinism: Defined, Documented, and Defended, wrote an incredibly good book on living the Christian life in the local church. 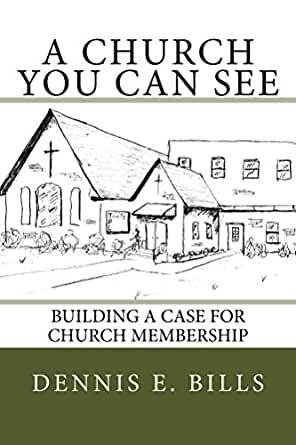 Titled Life in the Body: Privileges and Responsibilities in the Local Church, it was the book I often gave to people who were considering church membership when I was a pastor. Filled with short chapters, this book is also a great individual read or source for a group study. 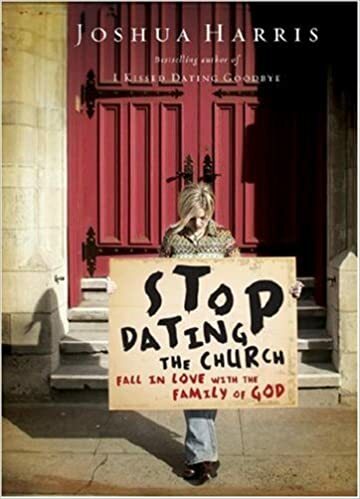 Stop Dating the Church: Fall in Love with the Family of God by Joshua Harris is a vital wake-up call for believers who are shirking their responsibilities toward local church membership. It is an easy, light, but convicting read. Along with building a case for church membership, churches need to buy a case for church members.